On a mission to ensure that Europe and North Africa are safer, Globalstar Europe Satellite Services Ltd., a wholly owned subsidiary of Globalstar Inc., has made the SPOT X two-way satellite communications device available across Europe and North Africa. Globalstar Europe Satellite Services Ltd.,'s satellite messaging and emergency notification technologies are available in SPOT X two-way satellite communications devices. *The one-touch SOS button instantly sends the user’s GPS location to the GEOS International Emergency Response Coordination Centre (IERCC) over Globalstar’s satellite network. The IERCC then transmits details to local first responders to dispatch help to the user’s precise location. SPOT X is the only satellite messenger that provides users with a permanent phone number, easy check-in function and a full, backlit QWERTY keypad for intuitive typing. SPOT X also offers the industry’s longest battery life in both tracking and SOS modes and is priced competitively. While SPOT is primarily known for providing SOS and tracking for adventurers including hikers, sailors and paragliders, SPOT has been increasingly adopted by enterprises and non-commercial organizations to ensure their personnel working in remote or dangerous locations where mobile and radio communications are unreliable or non-existent. The new SPOT X will integrate with Value Added Resellers’ (VAR) innovative third party applications that support remote and at-risk worker safety. General Electric Wind Energy, which has deployed SPOT to safeguard windpower crews across Europe, Africa and Asia. David Phipps, Managing Director of specialist distributor, Global Telesat Communications said that staff welfare, as part of increasingly important employee duty of care initiatives, is high on the agendas of enterprises across many industries. They anticipate that SPOT X’s two-way messaging will be enthusiastically received by businesses who understand the value of communicating with workers in the field, and giving them reliable, highly functional devices to improve safety. Phipps added that they believe that many individuals who already rely on SPOT to deliver added safety for their outdoor pursuits and adventures will be keen to take advantage of the new two-way communications options enabled by SPOT X. Mark O’Connell, General Manager of Globalstar EMENA offered that SPOT X is a true game-changer for safety and communications for any user whose business or leisure activities takes them beyond the reach of traditional telecoms networks. 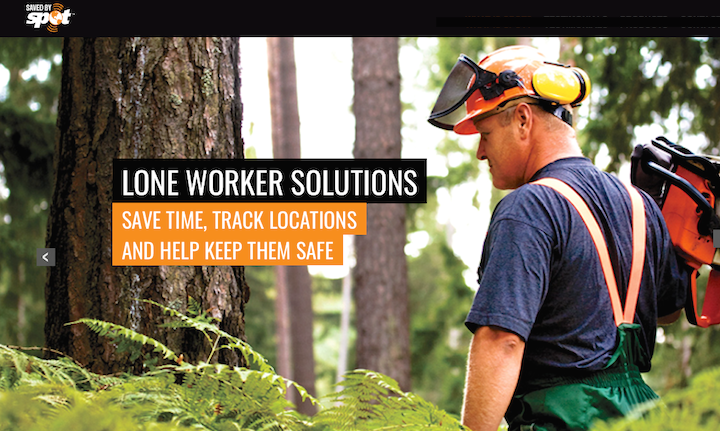 With an increasing number of third-party applications now integrated with SPOT, delivering added value through customized mapping and data management, organizations can now better protect employees as they perform their roles even in the most isolated or hazardous locations. Pricing and coverage details are available here.